McCord, one of the nation's most respected softball personalities, excelled as an athlete, official, manager and commissioner. He also received the coveted Neve Harms Award for meritorious service to sports. McCord was closely aligned with softball since 1947 when he was named manager of the then Caterpillar Dieselettes. From then until he retired as field manager after the 1972 season, his teams won 886 games, lost just 201 and competed in 18 national tournaments. 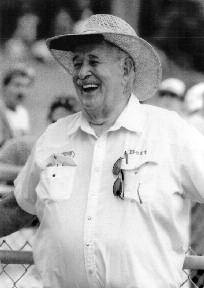 He served as Illinois State Softball Commissioner from 1953 to 1983. 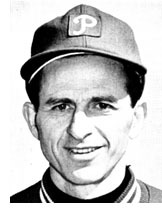 Along the way his 1953 team won 29 games in succession, his 1955 team was 37-1 for the regular season and the 1964 team won 31 in succession. McCord is a member of both the National Amateur Softball Association and Illinois Hall of Fame. During his long career he had conducted clinics abroad, has served as adminstrative manager of the Pan-American games for softball and has served on many committees of the ASA.